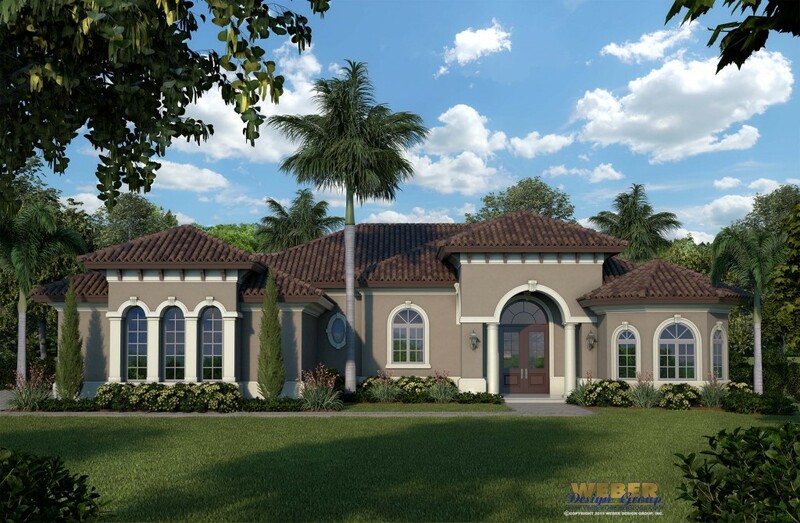 Popular House Plans with a Variety of Architectural Styles - Weber Design Group; Naples, FL. According to the US State of the Industry & Business Outlook of 2016 hosted by Houzz, $320 billion was spent in the building industry during 2015 alone. That’s higher than the average spent during the housing boom in 2007! Jump to: House Plan Search! Our Rio Vista House Plan comes in third place and is the perfect family home plan! With just over 3,000 square feet, this Mediterranean style home plan has a traditional style layout with 3 bedrooms and 4 baths, a centralized great room featuring sliding glass doors and plenty of windows. The open floor plan offers ample space for entertaining friends and family while the split bedrooms provide just enough privacy. This custom design makes for the perfect new house plan for your family. Check out the Rio Vista House Plan! Taking the second place spot for most popular house plan is our brand new Villa Siena II House Plan – a takeoff of our Villa Siena Model. As the smallest of the top three, this plan still boasts an excellent floor plan with three bedrooms, two full baths, a powder bath, an oversized three car garage and a large covered lanai! The spacious and casual living areas are combined spaces, yet defined by high coffered ceilings and access to the outdoors. 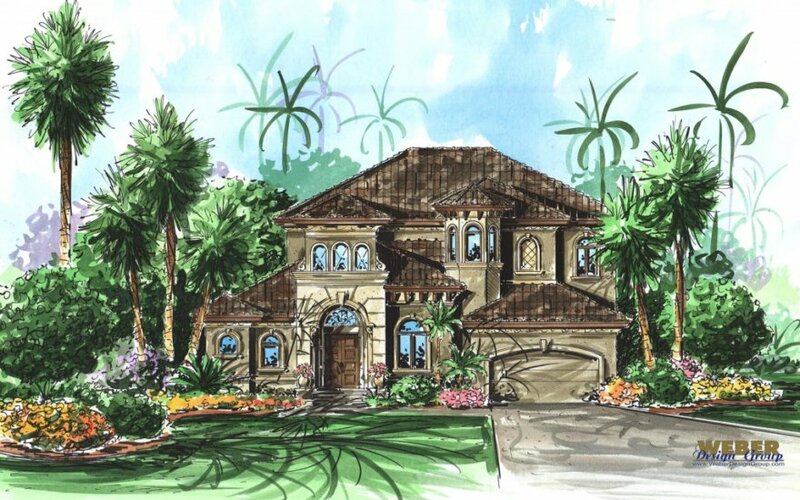 Keeping with the Mediterranean influence on the exterior, this house plan features large arched windows, a barreled tile roof and round columns. Check out our Villa Siena II House Plan! Our Ambergris Cay House Plan remains ever popular taking the first place spot as the most popular house plan of the first quarter of 2016! This Olde Florida style house plan has been topping the charts every quarter consistently for the past year! With almost 1,700 square feet of living space, this great room floor plan includes a central living space with cupola above, three spilt bedrooms, two full baths and volume ceilings throughout. Our Ambergris Cay Model is reminiscent of the traditional Florida Cracker homes with a wide front porch, metal roof and plenty of windows for natural light and cool cross breezes. It’s easy to see why this Olde Florida house plan is so popular! 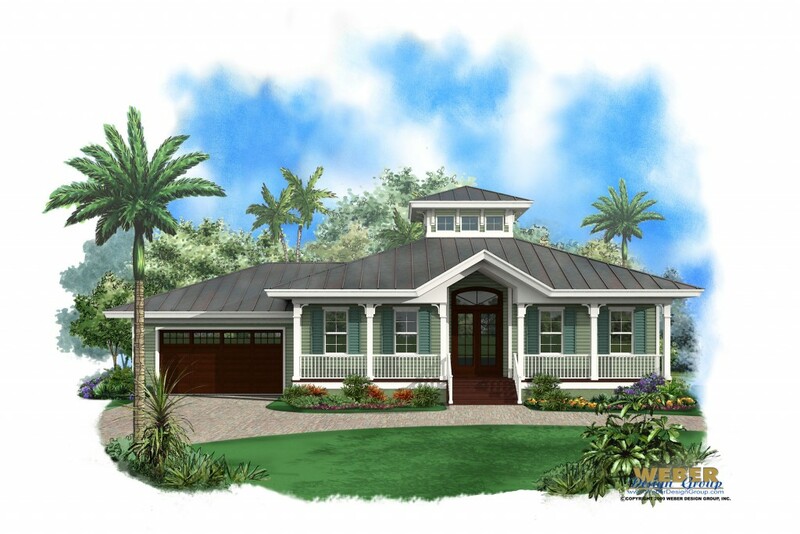 Check out our Ambergris Cay House Plan!